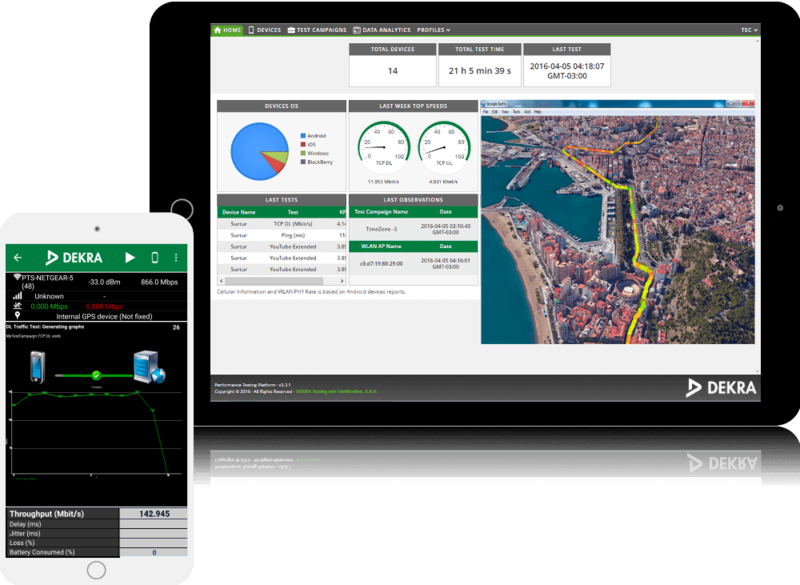 The TACS4 Performance Testing Platform is a system to deliver concurrent performance testing and user experience analytics of wireless and wired access networks for voice and data services. … and DEKRA Corporation for executing testing services worldwide. Following Spanish Personal Data Protection Law (art. 5 15/1999, dated December 13th) please be informed that the personal data facilitated by means of this form will be registered in a file of DEKRA Testing and Certification, S.A.U. with the purpose of Recruitment. You will be able to, at any time, exercise the rights of access, rectification, cancellation and opposition this data, by sending a letter to DEKRA Testing and Certification, S.A.U. to Attn: HR, at the following address Parque Tecnologico de Andalucia, Calle Severo Ochoa nº 2, 29590 Campanillas/Malaga (Spain). First name is too large (max. 20 chars). Last name is too large (max. 20 chars). Email is too large (max. 30 chars). Phone is too large (max. 30 chars). Company is too large (max. 20 chars). Job title is too large (max. 30 chars). Comments is too large (max. 300 chars). Cookies in this website are used just to track users sessions. No personal details are stored.